The Belgian crew from Sneakersdelight just added a marketplace to their already interesting online platform. Carefully curated sellers will be able to offer their goods online in a safe and supervised environment ensuring buyers don't get ripped off. To make things quick and painless, all potential sellers will have to do is fill out a simple application form and go through a quick selection process. That's not too bad, is it? A first month free trial is offered and Sneakersdelight only makes money (8%) when you cash in. I, for instance, would love to see these deadstock Palace x Reebok Classic R12 joints pop up on this site in a clean 6,5, but unfortunately the ones pictured above are waiting for a size 10 footed hombre. You know which one I'd like to see on there as well? The Nike Dunk Supreme from 2012. 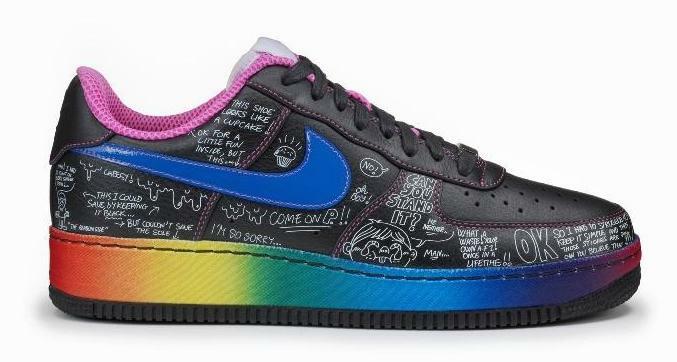 Or the Nike AF1 Low Supreme BusyP/Ed Banger. Can't tell me nothing, that was a dope shoe. Of course I'd never say no to the first Yeezy nor to a Nike Air Max 1 QS Patta. So, if you got great packs you want to make some coin off, go to Sneakersdelight and register to become a selected seller. Jul 1 EYECANDY Smörgasbord feat. Kendrick Lamar, the Internet, Kaytranada, Vince Staples, James Pants, Slug Christ, BadBadNotGood, etc.